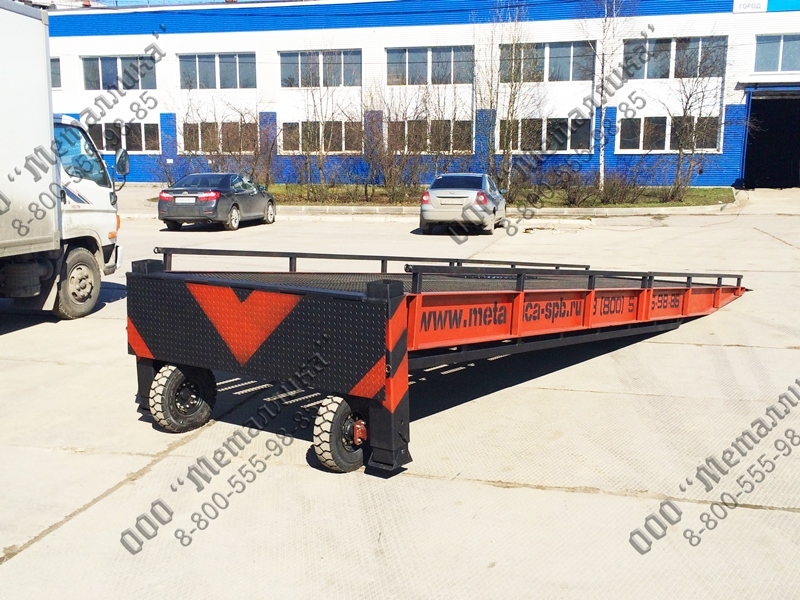 Front unload mobile ramp without horizontal platform. When joined to a vehicle, it forms a flat angle for the entrance of trucks into the vehicle. It has a high working load capacity of 10-12t and is expanded to 2.15 m. Due to its short length, it does not occupy much space. 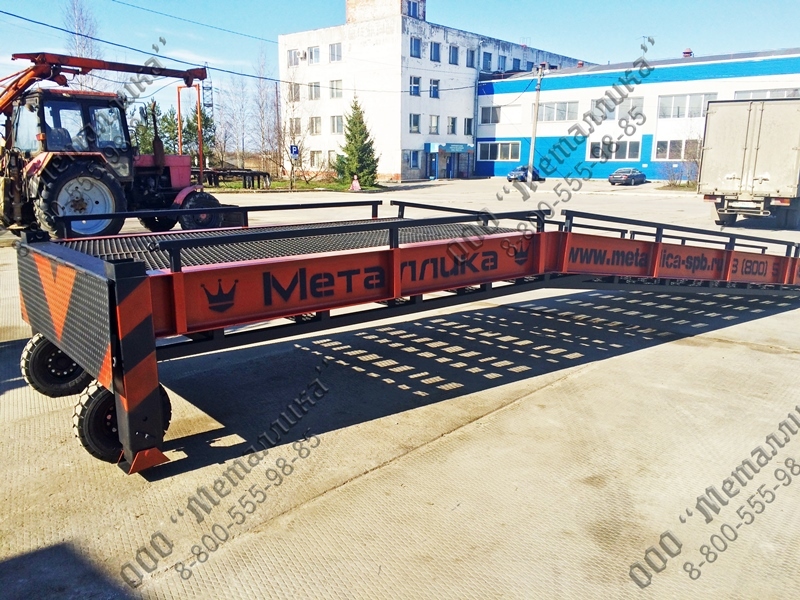 It is a popular model with a horizontal leveling platform and front unloading. It has a high working load capacity of 10-12t and is expanded to 2.15 m. It has all the benefits of the new range of HL racks (High Loading). 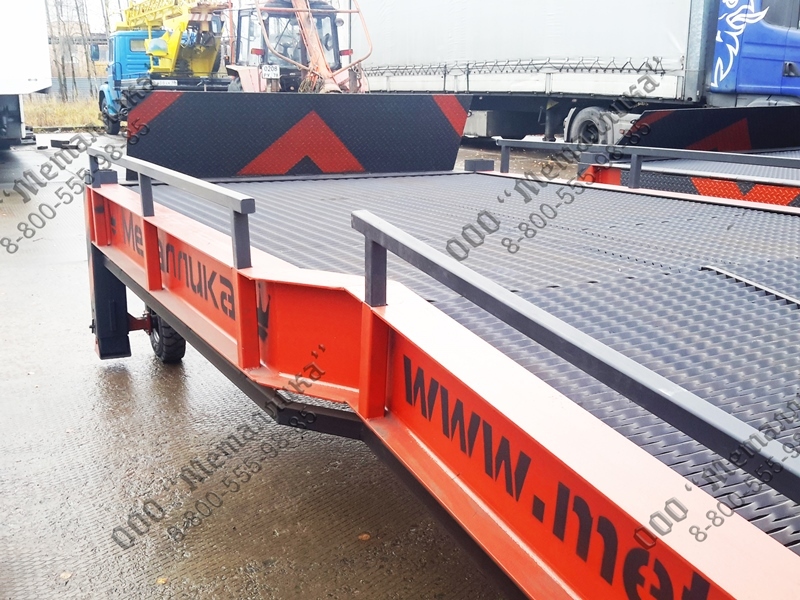 "Skat" racks differ from the standard model so that the horizontal platform is extended to 2.45 m for the convenience of the forklifts which can freely shift to the left or to the right on the ramp. Working load capacity is 10-12t. It is suitable for the majority of applications during handling operations. 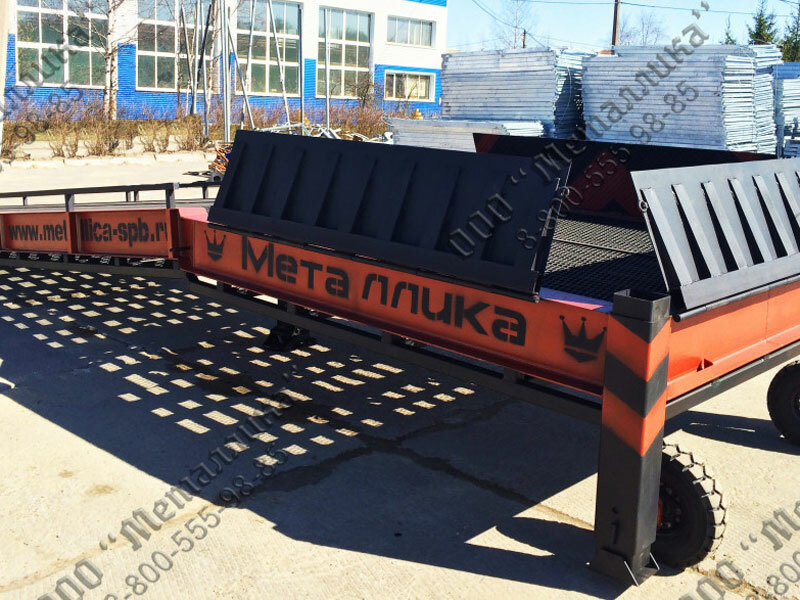 "Cobra" stands out for its versatility: it is equipped with three folding ramps on the site that allows working with the three vehicles at the same time. The platform is extended to 2.45m; constant capacity is 10-12t. "Cobra" ramp is the most versatile at present.